My book Asleep in Heaven’s Nursery is for sale on Amazon, and I am asking for help to help it sell. Customers frequently read the customer reviews before they purchase books, and these reviews can either make or break the sale. I am looking for people who are willing to write a short (or long) review for Amazon and Google. I am in no way telling anyone what to write, whether positive or negative. If you have not read the book, I will give a free paperback or e-book to the 1st 5 people to request one. You can request one by commenting below or by using the contact form at www.tommymannministries.com. Once you have read the book, please visit these two sites below and post a review; you can also click “like” and recommend it on Facebook. Posting your review as a note on Facebook would be pretty cool too. 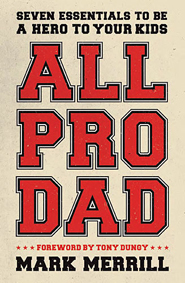 The book All Pro Dad by Mark Merrill contains “seven essentials to be a hero to your kids.” Published by Thomas Nelson, this book has eight chapters, as well as a conclusion and appendix. Motive—Why do I do what I do? Method—How can I better love my family? Model—What should I model to my children? Message—What do I need to share with others? Master—Who or what am I living for? Merrill’s conclusions are the result of the research he has done, which includes on the job training from being a husband of more than two decades and a father of five children. Aside from sharing wisdom he has picked up through trial and error, he also shares insight that he has gleaned from interviews. In this book Merrill shares excerpts from interviews he has conducted with men like Super Bowl winning coach of the Indianapolis Colts Tony Dungy, Former governor of Florida Jeb Bush, Chick-fil-A founder and CEO S. Truett Cathy, NFL broadcaster for CBS James “JB” Brown, and Grammy-Award winning Christian recording artist Michael W. Smith. I’ve been very critical of the emerging church in some of these blogs, and some have accused me of not actually knowing what that movement is all about. For that reason I decided to write a review of the writings of some of these emergent leaders. I have previously written about men like Tony Campolo, Rob Bell, and Mark Driscoll so they won't be focused on in this post. I have read, among other texts, Dan Merchant’s Lord Save Us From Your Followers, Dan Kimball’s The Emerging Church, Brad J. Kallenberg’s Live to Tell—Evangelism for a Postmodern Age, Erwin McManus’ The Barbarian Way and Wide Awake, and Donald Miller’s books Blue Like Jazz, To Own a Dragon, A Million Miles in a Thousand Years, and The Open Table. My two favorites were books written by multiple authors (a community of them, perhaps). These books are An Emergent Manifesto of Hope, and Stories of Emergence—Moving From Absolute to Authentic. I must admit that I enjoyed The Barbarian Way. I didn’t find anything emergent about it. It was pretty much Christianity 101, and what I considered to be similar to my first book All the Law. I also admire Dan Kimball for his efforts. He appears to believe in the absolute truth of God’s Word; he has called for us to reevaluate our methods, but not our message. As one of the founders of the emerging church, I think his ideas were hijacked by a more liberal movement that has given his methodology a bad name. Everything else I have read from this movement has been disturbing. My biggest criticism has been their denial of absolute truth, which people have argued with me over. 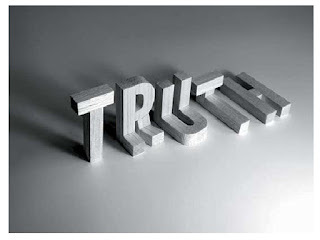 But what I have found on page after page, author after author, is that they simply do not believe in absolute truth. The very tag line of one of the books is “moving from absolute to authentic.” They pride themselves on it, and they believe that it is arrogant to think you know absolute truth (which is an absolute assessment on their part, thus making them arrogant by their own logic). Will Samson wrote that people who believe the Scriptures alone give us truth fail to “take into account the subjectivity of human interpreters.” Translation: No absolute truth (Emerging Manifest (EM) p.156). Barry Taylor said, “faith lives in inquiry and fluidity…Our declarations of faith are always fragmentary and provisional.” Translation: No absolute truth (EM p.168). Brian McLaren sarcastically refers to Christians who hold truth to be “an open and shut, black and white case.” Translation: No absolute truth (EM p.142). Adam Walker Cleaveland said “Those involved in the emerging church movement are not black-and-white thinkers. (EM p.125)” And “One of the joys…of Emergent is that it is very hard to say, ‘This is what Emergent believes about X.’” Translation: No absolute truth (EM p.126). Samir Selmanovic ponders whether the gospel message can be found in “reality” and “stories” rather than simply in “sacred texts.” Translation: No absolute truth (EM p.192). Chris Erdman admits, “We’re working to birth something new—new theology.” Translation: No absolute truth (EM p.237). Todd Hunter remembers how he “used to love all the things now so popular to diss.” Among them: “foundationalist truth.” Translation: No absolute truth (Stories of Emergence (Stories) p.42). Chris Seay said, “We are not simply autonomous knowers given the ability to decipher truth for others.” Translation: No absolute truth (Stories p.79). Chuck Smith Jr. enjoys being “free to reinterpret [Scripture] and find new applications.” Translation: No absolute truth (Stories p.89). Jo-Ann Badley said that when we get rid of the modern church, we also get rid of “an arrogance that assumes you know the truth.” Translation: No absolute truth (Stories p.113). Earl Creps quoted someone from Hollywood that he said sums up the postmodern life: “I don’t believe in truth, I believe in style.” Translation: No absolute truth (Stories p.153). Brad Cecil ridiculed an old seminary professor for believing in “absolutes.” Translation: No absolute truth (Stories p.166-167). Donald Miller, the man credited with nicknaming Mark Driscoll “The Cussing Pastor” in Blue Like Jazz (he thought that was hip and funny), wrote in The Open Table: “Christianity is not about right and wrong…Rather…experiences and stories (p.103-104).” In his book To Own a Dragon he said, “Let’s not turn the idea of right and wrong into coloring book material (implying that it is not so simple, p.138).” Translation: No absolute truth. Erwin McManus, founder of Mosaic, wrote in Wide Awake, “Unfortunately, we who build our lives on the Scriptures are at times most in danger when we conclude all we need to know is found in one book (p.39).” Translation: No absolute truth. Kristen Bell, wife of Rob Bell, said in an interview, “I grew up thinking that we’ve figured out the Bible, that we knew what it means. Now I have no idea what most of it means…life used to be black and white, and now it’s in color (as quoted in Brian McClaren’s A Generous Orthodoxy, p.293) Translation: No absolute truth. There were many more statements by these people that opened a window into their way of thinking. People have told me that I’m wrong when I say the emerging church doesn’t believe in absolute truth, but the sixteen people quoted above prove otherwise. 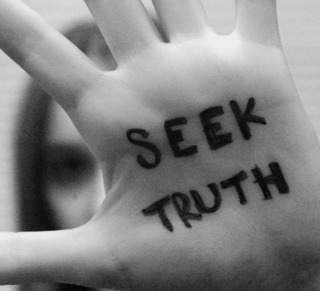 To the emerging church, truth is relative. What is right for you may be right for you, but not necessarily for me. What is right today may not be right tomorrow. And while that is ok for certain things, like methodology (church music styles or dress code, for example), it is a very dangerous slippery slope. In John 14:6 Jesus said that He is the only way to the Father. That is absolutely true, not only today, but tomorrow as well. It is also true, not only for me, but for you as well. Over and over these authors bash any traditional pastor who claims to know the truth of God’s Word. They continually brag about having questions and not answers. One even bragged that her thirteen-year-old daughter doesn’t know a single Bible verse. They continually refer to the gospel as being a mystery. But these are all very flawed ways of thinking. For example, in I Peter 3:15 we are told to always be ready to give an answer to anyone who asks us about the hope we have in Christ. To not know a single Bible verse, and to have more questions than answers, according to Peter, is sin (obviously this would not apply to baby Christians, but the church leaders that wrote these books should know more). I Corinthians 14:33 tells us that God is not the author of confusion. Do you really think that He wants us to be confused by some great mystery? When the apostle Paul referred to the mystery of the gospel, he was talking to Gentiles. The gospel had been a mystery to them; that is, it was a strange religion that the Jews practiced. But Paul, as well as others, worked as missionaries to bring the gospel to them. The Jews never referred to it as a mystery because it wasn’t. And it is not supposed to be a mystery for us today either. In I John 5:13 John told the church that he was writing to them that they “may know” that they have eternal life. For those believers, their eternal state was a matter of absolute truth, and it was dictated by Scripture, not society or circumstance. This “anything goes” mentality showed itself throughout these books. Consider the fact that there were a handful or curse words and many crude words used. Their logic is probably that they don’t have a problem with it—forget the fact that God does. To say it is wrong is an absolute statement, which they reject. Not only do they use foul language, they promote things that do. They constantly refer to bands, songs, shows, and movies that are filthy. Movies like American Beauty, which is filthy, and Fight Club, which has over 60 “F” words, drugs, violence, etc., are promoted. One went so far as to compare a gay drag queen to Jesus while having a dialogue with a lesbian. When nothing is absolutely wrong, then these things become ok. In conclusion, it is clear that the emerging church does not believe in absolute truth, even when it comes to God’s Word. For that reason, God’s Word is not held in high esteem at all. The Bible is barely referenced at all in any of these writings. When it is, the context has been butchered. One lady didn’t like the biblical passages that say that women cannot be pastors, so she set out to disprove it. When she realized she could not disprove it, she concluded her chapter by saying, “I still believe,” and she refused to let go of her presupposition. If they actually read a Bible verse, they can simply disagree with it by saying, “Well, I believe…” That’s what happens when there is no absolute truth. On this issue, the emerging church is absolutely wrong, and that is the absolute truth. It's Mother's Day and I'm Not a Mom! Our country celebrates moms every May, and rightfully so, for our mothers have done so much for us. But with all the roses, cards, and “Happy Mother’s Days,” there are some who are left out. First, there are the ones who have lost their mothers. As time helps to heal the wounds, Mother’s Day can become a great time of reflecting back on the mothers that has passed on, but there is still a sorrow that is begging to be comforted. This is especially true for children or those who have recently lost their mother. We need to remember them and give them extra, but not awkward, support on Mother’s Day. The other group that is generally left out on Mother’s Day is those ladies who have not been blessed with children of their own. Whether through infertility or child loss, there are millions of women in this country that won’t have a child to tell them Happy Mother’s Day. If that is you or someone you love, there is still a special way that you can celebrate Mother’s Day. If you have lost a child, no matter how far along, even right at conception, then know that your child is alive and well in heaven. The fact that you have a child still makes you a mother. So on Mother’s Day, take time to reflect on the child who is in heaven, and if you are a Christian, thank God that you will have eternity to spend with the child that left too soon. 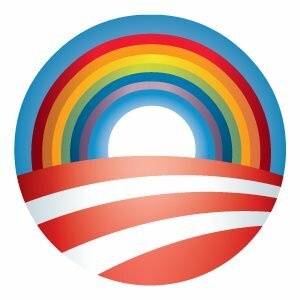 This week both President Obama and Vice President Biden have come out in defense of gay marriage, which we all knew was going to happen before their first term ended. This blog is not about whether or not homosexuals should be allowed to get married, because I have written about that here and here. If you aren’t familiar with that show, it featured a straight woman who lived with her gay male best friend; there was another homosexual man on the cast as well. And in case you aren’t familiar with the word sitcom, it means situation comedy, not to be confused with documentary. It’s not as if Mr. Biden is crediting some documentary about a gay couple, or some reality show about two men trying to raise a family. He cited a comedy—with a team of writers—for educating America and shaping domestic policy. That would be like passing legislation to make paper companies more efficient in the Northeast after watching The Office. Don’t get hung up in the politics here (like, Do we really want an administration ruling the country based on Comedy Central? ); instead, think about this from a Christian perspective. The vice president of the United States has admitted what I have been criticized for saying for years, and that is the media we watch shapes us. Media has an agenda that goes beyond their paycheck. Consider how Modern Family added a gay kiss to appease GLAAD. Do you not think the agenda behind Will and Grace was to do exactly what Mr. Biden said they did—to change America’s perception of homosexuality? This is a show with a team of writers carefully analyzing every word, gesture, and setting, to make the show exactly what it was. This same process shapes every TV show and movie that we watch. We constantly remind our children “Oh be careful little eyes what you see.” That same advice, if it is good for our young ones, should be good for us older ones. The Prince of the Power of the Air controls the airwaves, but he doesn’t have to control your remote. You are of your father the devil, and the lusts of your father ye will do. He was a murderer from the beginning, and abode not in the truth, because there is no truth in him. When he speaks a lie, he speaks of his own [native language]: for he is a liar, and the father of it. As the Father of lies, the first plan of attack that Satan ever used was to question God’s truth. In the Garden of Eden Satan tempted Eve by asking her, “Did God really say…?” He attacked the absolute truth of God’s Word. Eve then began to wonder if perhaps God didn’t really say that. Satan used enough of God’s words to be cunning, but he left out enough of them to be deadly. People often promote their pastors (or leaders or life coaches) by showing that they use the Bible, but the key is how much of the Bible they use. In the Garden, and when tempting Jesus in the wilderness, Satan quoted the Bible, but in each instance he strategically left out parts. I am not saying that human error denotes lying, or that pastors who reject truth are satanic. What I am saying is that it is certainly Satan’s artillery in this spiritual warfare to deceive people into rejecting God’s absolute truth. In Jude 1:3 we are told to “earnestly contend for the faith,” so it is the duty of every Bible-believing Christian to stand up to these false teachers who change God’s truth into something that cannot be known. Jesus said that Satan’s native language is lying; what language do you speak?